Never have I yearned for a piece of technology before now until I saw the Sudio Vasa Bla Bluetooth Earphones online. Earphones and Earbuds have always been a utilitarian item for me because they were a practical necessity that did a job. I wore them on the plane to watch the in-flight entertainment system and would listen to some soothing travel music so that I could peacefully get some sleep on a red-eye. It never mattered what my earphones looked like because they were always black or white and Plain Jane boring — until now. 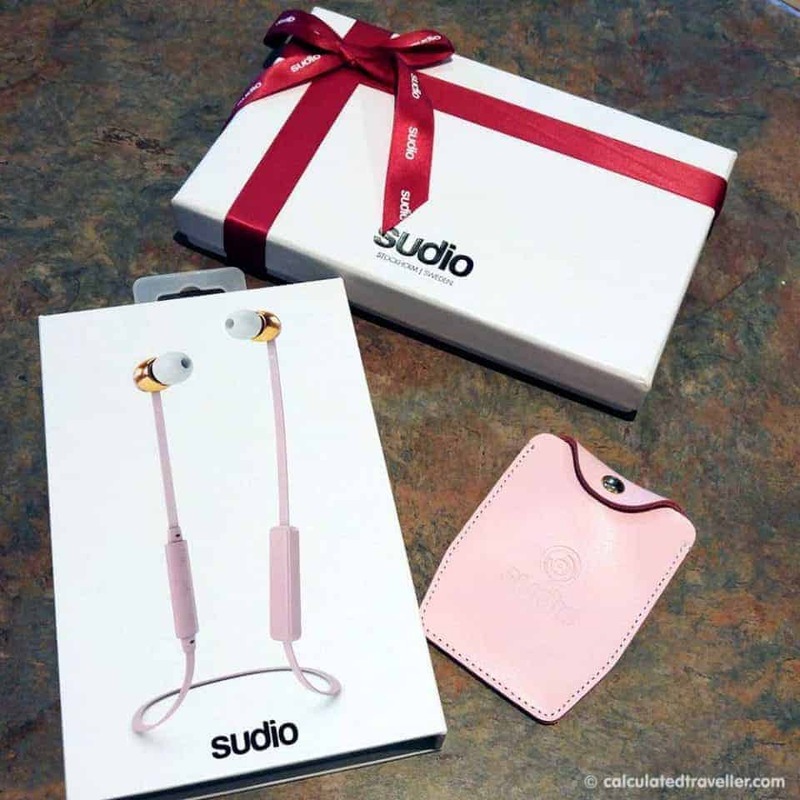 Super girly of me I know but I had to have the pretty pink Sudio Vasa Bas Earphones. Swedish designed with goldtone details and white earplugs they are feminine, elegant and practical. I feared that they would look a bit childish and “baby pink”, but in reality, the gold details elevate them to a very upscale, stylish, premium and “grown-up” look. Not subtle in style at all and I anticipate myself getting second looks and side whispers the next time I wear these on a plane. Heck, maybe the flash of high design style will get me a free upgrade to business class! A girl can dream, can’t she? 4 colours to choose from: Black, blue, pink and white. 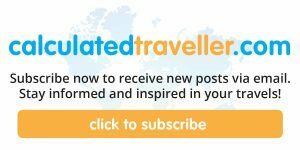 Let me start by stating that I don’t usually write the technology reviews for Calculated Traveller — I leave this task to the boys on staff. I don’t know the difference between amps, volts, watts, or ohms; it’s all a foreign language to me. All I can comment on is whether they sound good or not and how easy they are to use. Firstly, setting up the Bluetooth and pairing it with my LG G4 cell phone was a piece of cake with zero issues. The instructions were very clear and concise, and within no time I was happily listening to my Phil Collins jam. Yeah, his song “Sussudio” is the inspiration for the company name, so I just had to test them with that song. The battery pack is on the left-hand side, and the on, off, volume controls, and microphone are on the right. Other earphones I own hurt my ears after extended use these were very comfortable. I love the convenience of the earphones being wireless, and I’m thoroughly enjoying the freedom of my first pair of Bluetooth earphones. I tested the earphones with various types of music (jazz, rock, pop, classical, a cappella) and the music and singing was full and not tinny with good bass. Regarding noise cancelling, I felt that these worked well to block out a lot of exterior noise. I also tested the microphone and found it accurate. 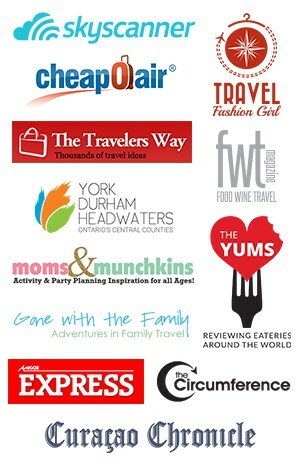 In fact, I dictate many of my articles versus typing. I love them. 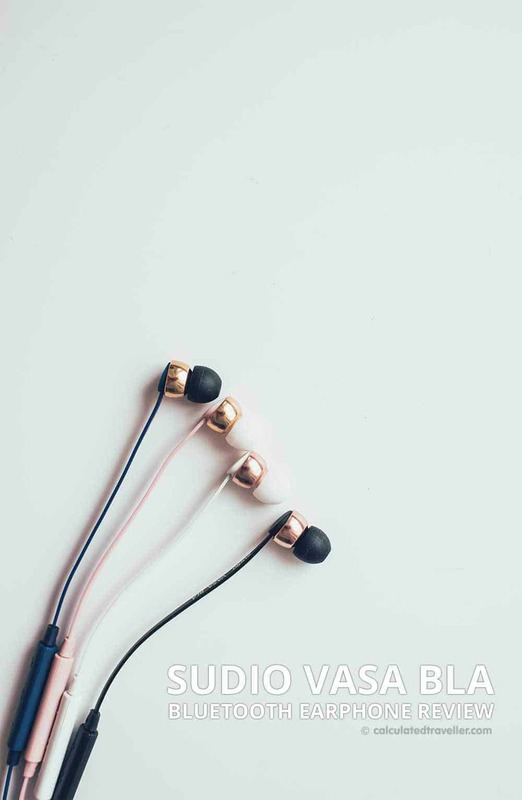 The Sudio Vasa Bas Bluetooth Earphone are premium-quality and ooze of designer-style. The pink is not for everyone, but the colour ensures that they don’t go missing inside a cavernous purse and don’t get borrowed by the men in my life. 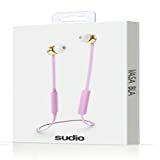 They are elegant, stylish, and sound great I think they’d make a fabulous gift for that special stylish woman in your life. I hope you found this Sudio Vasa Bla review helpful. 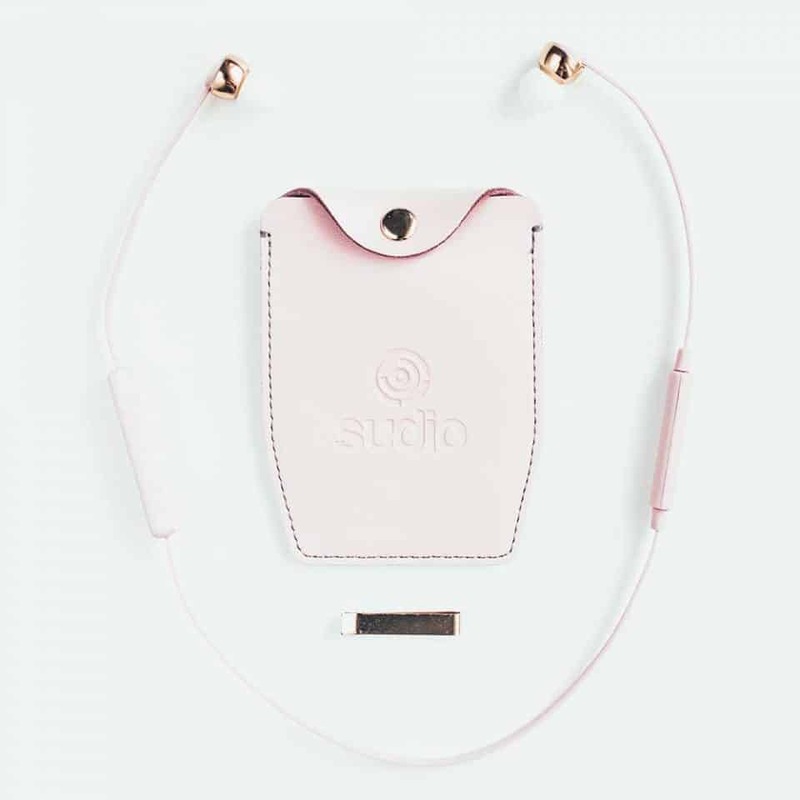 I received a sample product for testing purposes from Sudio Sweden. I was not compensated for this review. All opinions are entirely my own. Oooooh I want the pink ones!